German StuH 42 assault gun (assault howitzer) in motion. September-November 1944. 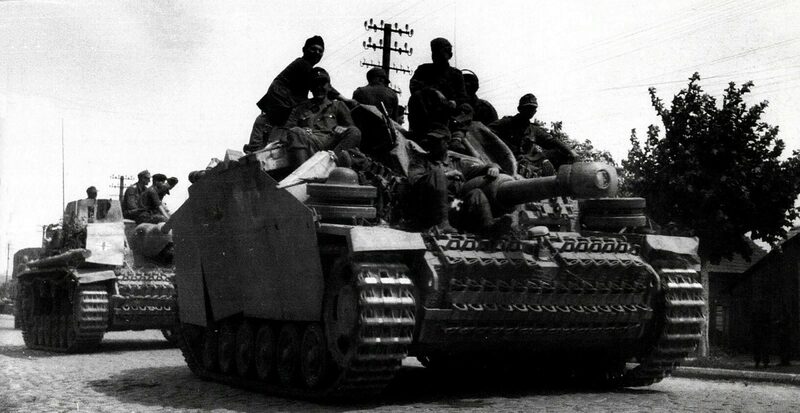 In the background is the StuG III.